As a result of poor iPhone sales throughout Q4 2018 in emerging markets such as China, Apple was forced to lower its revenue guidance yesterday. However, in a memo obtained by Bloomberg, CEO Tim Cook revealed that the iPhone’s popularity continues to grow in developed markets. 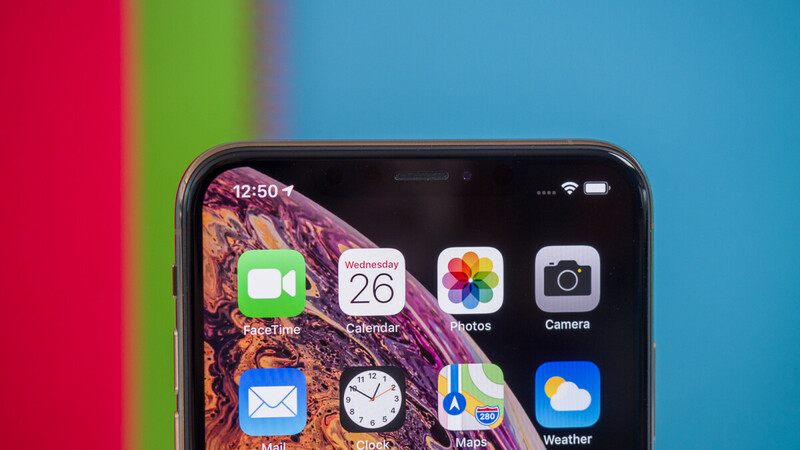 Boosted (presumably) by the improved iPhone trade-in program that Apple continues to promote and the multiple holiday season offers available through both retailers and carriers, Cook announced that iPhone activations set new records in both the US and Canada last week on Christmas Day. This has helped the company’s install base reach a new, all-time high. In addition to the iPhone activations, Apple also expects to set revenue records in key markets such as the US, Canada, and Mexico in the final quarter of 2018. Alongside these countries, revenue numbers have reached new highs in the likes of Germany and Italy, which extreme revenue growth was also seen in South Korean and Vietnam. Unsurprisingly, not all of this revenue growth is attributed to iPhone sales, though. In fact, Tim Cook confirmed that Services, Wearables, and Mac have all set global revenue records. Furthermore, the launch of the new iPad Pro models has led to double-digit revenue growth. Once again, Cook was keen to emphasize the fact Apple is managed for the long-term and that it is keen to adapt to the challenges it faces. But with no details on the latter, it’ll remain to be seen what kind of changes the company implements over time. Growth in South Korea, what about Samsung and LG? I guess they’re losing market shares in low tier. Apple shares down 10% today, i dont think things are going well in the apple house. I wonder how many of these are based of iPhone XR. Every single time I walk into the Apple store, I get a notification on my phone reminding me about a trade in with my phone. But it is super surprising that record iPhone sales were made. Good for Apple in harsh times. You get a notification when you walk into their stores? So...apple is tracking you. I do not think Apple is tracking me outside the store. Inside the store, I think there are iBeacons and whatnot in place to assist customers with iPhones so you maybe correct about tracking but limited to in store. question is ... why does he need to go in the store so much? to use the restroom? you have no idea of how clean Apple Stores' public restrooms are! top notch! @Elixer, hahaha thats a good one. I never actually used thier restrooms so far, so I cannot comment. Will definitely check them out next time :). @bucknassty, the local store(beside my home) in Chicago is architecturally really good, it resembles the Macbook Air and is situated next to the river walk. A lot of family who visited me during the holidays wanted to visit it when they saw it from outside. Really? What phone do you have? I only ask because this didn’t happen to me or my wife in the local Apple store. @Vancetastic, I am using the iPhone 7 and it happened to me every single time in my local Chicago store. I do not know if this has anything to do with me having the “Apple store App” installed on my phone or if it because of Bluetooth. The store also detects that mine is a 7 and gives me a $300 estimate. I heard that the 7Plus gets $350. That is interesting! I don’t have the Apple store app, so perhaps that is the difference. I’d guess that sales were just ok, but not spectacular. I doubt Apple is shutting the doors anytime soon. Yeah, i laugh at people that say apple is doomed or apple will go broke. Apple will never go anywhere and like always will bounce back as soon as they get their s**t together. Join the gang. Lot of people do not understand this pure hatred. I pray that people do not carry this hatred into their regular lives. Well, a lot of people are tough guys behind the keyboard, so hopefully not! Take their keyboards and they are lambs :). It's both. There are expectations and there are doing well, but not as well as expectation. Apple is fine, and will be fine. Their stock is another story, but that is how the stock market roll. Apple issues are cause by multiple reasons, trade wars, battery upgrade, slowdown in mobile devices as a whole and price increases. Not sure what Apple and everyone else were expecting when a company increased their entry level price increase from $650 to $999 from 2-3 years ago. That kind of price increase was bound to cause people to pause/stop their purchases. Apple decided to forgo selling more devices at the expense of margins and profits, and this is the result of it. It would have been a hard sell under normal circumstances, nevermind with the industry slowdown, strong dollar and trade war. That is a bad combo right there. Apple just need to withstand this rough patch and make a few adjustments. Again: the price is not a problem for Apple buyers, the problem is that this year the iPhones didn't gave us a solid reason to buy them (I only did it, because I got a cheap - read "free" - XR from my carrier, otherwise, I would have stayed with my 7 which is still on the high end of the performance). And now here it comes as usual. iPhone sales will go back up again. "This has helped the company’s install base reach a new, all-time high." Strategic_developer, this is for you. You see services aren't going down it's going up because install base is growing and not getting smaller which clearly is too hard concept for you to understand. With all the promotions they should have activated a lot of phones but, all those promotions also hurt their revenue a lot. Who gives a s**t about Apple's revenues (except their stock holders)? Bring on the promotions (I just got another 3 months of free Apple Music)! Apples "user install base" does not just include iPhones. It is any device that pings Apples servers for the first time it includes iPhone, iPad, Mac, iPod touch, Homepod, Apple TV and Apple Watch in its device count. The 1 billion figure that Cook quoted earlier this week has taken 10 years to reach. The figure will always be a record high as devices no longer in use are not removed from the list while all new devices are added so it will continue to grow. If Apple added just one device sale in the next year then it would reach a "record high". It's just a way to make figures sound great no matter what the truth really is. Nice theory but how you explain the fact that Apple services keep growing all the time in big numbers? It can't be explained by anything else than new users coming to Apple ecosystem and old stay there too.